Welcome to our Autism Awareness Online site. We are here to promote autism awareness through our autism website. We hope you find the autism information you are looking for and this can become your autism resource or tool to find out more about autism. Our family was blessed on December 29, 1999 when our daughter was born. 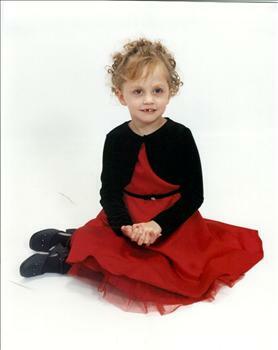 She was diagnosed with severe autism at the tender age of three. Our hope here at Autism Awareness Online is that we can all work together to find the missing puzzle piece to autism. You may be visiting our site or many different reasons. You may be a parent or a family member of an autistic child, an autism educator, or maybe just someone who is interested finding autism information or just finding answers to your questions on autism. If so, you have come to the right place for your autism answers and autism information. This sole reason this website was designed and started was because of our beautiful autistic daughter. She is interwoven throughout the entire site and through almost all of the autism graphics we have used. By now most of us know that autism has reach an all time high with 1 out of 150 children to be diagnosed with autism and 80% of all autistic people are under the age of 18. This autism statistic is simply staggering and it makes us wonder "Why?". By now most people either have someone in their family who has an autistic child or they know someone who does. Is it our environment, mercury, toxins, or maybe something else that still has to be researched. One thing is for certain, we are all in this together to help find that missing puzzle piece. The rate of autism is continuing to grow and we have read that they are now saying within 7 years it will be 1 out of every 7 young families will have an autistic child in it. Let’s find that puzzle piece together. We looking forward to seeing you back to find the autism information you are looking for. For those of you who are on Facebook, we have started a Profile page for our Autism Awareness Online website. Please visit our profile and if you choose to become a fan by clicking here. We are now located on Twitter. Come and follow us. Right there in plain sight. An angel is beside us? And protecting us all day long. Can give us all a little peace in our heart. In the form of someone with autism. Without a word to be spoken. Is what makes her remarkable. to take care of us all. And show us God’s way. God decided to bring her home. She’s actually watching over us every day of our life. Till we can be together again someday. Here at Autism Awareness Online, we would like to start a new section for Featured Writers. If you would like to be considered, please send your writing to articles@autismawarenessonline.com. All Featured Writers for our site will have their name listed on our home page under our Featured Writer menu and then a link to a webpage listing all of the individuals writings. Each writer will have their own page and at a minimum at least one new article or story each month, if not more, depending on the writer. We look forward to meeting our new featured writers soon.